Here the announcement by the Heartland Institute (and sorry for the picture above, S.B.!). 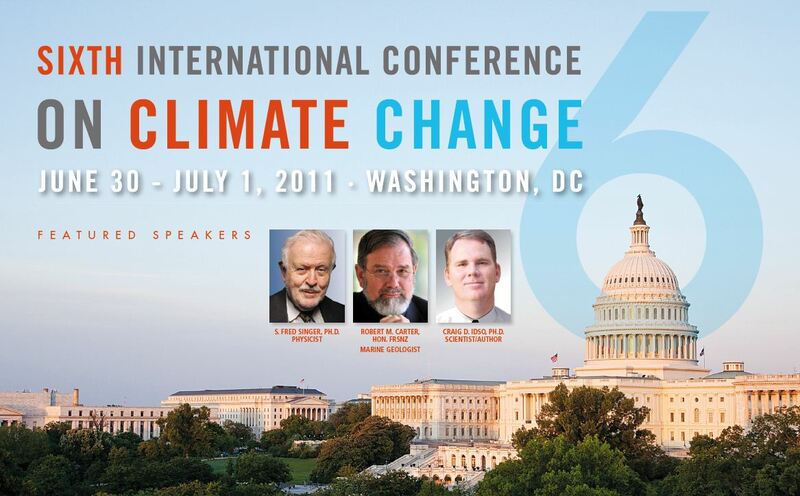 The Heartland Institute will host its sixth International Conference on Climate Change (ICCC-6) on June 30 and July 1 in Washington, DC at the Marriott Wardman Park. Heartland will be joined in Washington by dozens of think tank cosponsors and hundreds of scientists in an effort to “restore the scientific method” to its rightful place in the debate over the causes, consequences, and implications of climate change. The theme of the conference, Restoring the Scientific Method, acknowledges the fact that claims of scientific certainty and predictions of climate catastrophes are based on post-normal science, which substitutes claims of consensus for the scientific method. This choice has had terrible consequences for science and society. Abandoning the scientific method led to the Climategate scandal and the errors and abuses of peer review by the Intergovernmental Panel on Climate Change (IPCC). The scientists speaking at this conference, and the hundreds more who are expected to attend, are committed to restoring the scientific method. This means abandoning the failed hypothesis of man-made climate change, and using real science and sound economics to improve our understanding of the planet’s ever-changing climate. HURRY! Early registration discount ends Friday, May 27. The problem with the term"post normal science" is that the word science is used. Science implies the use of the scientific method. Somehow "post normal science" has dispensed with that by advancing positions that cannot be falsified. Post normal science has nothing to do with consensus arguments. In fact at the Lisbon conference the primary theorists of PNS explicitly rejected notions of consensus. The appeal to consensus was one of the problems the people who attended the conference identified as harmful to dialogue. Perhaps one can adopt the scientific method WRT statements about PNS. There’s a hypothesis: PNS appeals to consensus. There are observations, what those of us who understand PNS say about consensus. Those observations, disconfirm the theory this conference has about PNS. Misunderstanding the thing you want to criticize is not getting off to a good start." "Misunderstanding the thing you want to criticize is not getting off to a good start." Ja Herr Krauss, so läuft das manchmal. Es soll ja auch Menschen geben, die eifrig die Norm zu dekonstruieren suchen, sich aber nicht damit aufhalten, das Abweichen von der Norm bzw. das postmoderne Dekonstruieren der Norm wiederum zu dekonstruieren - da bleiben die meisten Theoretiker_Innen zumeist dann stehen. Ich frage mich nur warum? I have no idea what you are talking about. Could you please explain? It's an illustration. Termini, entworfen, gefunden, entdeckt - je nach philosophischem Standpunkt -, werden meist, von verschiedenen Menschen, auch verschieden verwendet, interpretiert. Ich persönlich lehne den Terminus "postnormal" ab und tendiere zu "postmodern". So relativiert sich Ihr "turned against the intentions of those who USE it", gleichsam wie Ihr Vergleich hin zum "social constructionism" und den Skeptikern desselben. Natürlich werden Termini IMMER vereinnahmt, und je nach Ausrichtung und Medienlandschaft zu instrumentalisieren gesucht. Sie beklagen es in diesem Fall, machen es aber in anderen Fällen ebenso. Sie dekonstruieren Begrifflichkeiten, lassen andere stehen. Wie ist es mit der Dekonstruierung des "Konservativen"? Sie werden zugeben, dass seit der französischen Revolution mit diesem Begriff Unterschiedliches assoziert wurde. Heute ist der Mainstream linksliberal, daher ist Konservativismus in generi negativ besetzt, in den 50ern wohl noch eher positiv usw. usf. Sehr interessant, aber ich habe den Eindruck, dass Sie nicht so genau wissen, worum es hier geht. "Postnormal" ist nicht irgendso ein modischer Begriff hier, sondern der im Sinne von Funtowicz / Ravetz. Das Heartland Institute definiert den Begriff genau gegenteilig wie Funtowicz/Ravetz ihn gebrauchen. Um dieses sehr konkrete und beabsichtigte intellektuelle foul play geht es hier, nich tum irgendwelche Dekonstruktionen etc. Genau. Hier soll die Brücke, die zwischen Skeptikern und Alarmisten zum Beispiel in Lissabon mittels "postnormal" gebaut wurde, wieder zum Einsturz gebracht werden. Postnormal heißt, dass bestimmte "uncertainties" in der Klimawissenschaft von beiden Seiten akzeptiert werden. Diese sollen nun wieder durch harte "certainties" ersetzt werden, durch "real science", die - welch Überraschung - zu Tage fördern wird, dass global warming doch nur ein hoax und eben postnormal science ist. Üble Bande, das. Ps. Ihr halbgelungene Diskreditierung meiner Person - nicht ganz genau wissen, worum es hier geht - trifft mich nicht, wie sollte er denn auch, disqualifizieren Sie sich mit einer solch durchsichtigen Äußerung doch nur selbst. Sorry, but the science is now settled, at least against the idea of global warming due to increasing atmospheric carbon dioxide (the "greenhouse effect" hypothesis). I have definitively invalidated it (see my blog), with data nearly 20 years old and a simple analysis that should have been done that long ago, if any climate scientists were in fact competent. And that failed hypothesis is the very heart and soul of the AGW hysteria. Whether intended or not, the definition of a "postnormal science" is just a cover-up of the fact that the claimed greenhouse effect does not in fact exist at all, much to the eventual and unavoidable embarrassment of every scientist who has looked into it and accepted it as "settled science". In the end, science is True or False, and the invention of the idea of "postnormal science" is false. It is just another sign on the road to an insane corruption of competent science. Nothing you can say or do, from this point on, including actual war, will change the fact that AGW is founded upon a scientific hypothesis that has been clearly and simply falsified, for any competent physical scientist who will properly confront my analysis of the Venus/Earth data. I strongly suggest that the IPCC should look no further dan 20 years ahead in their reports, and make some falsifiable forecasts for 2031. Nobody can possibly plan the economy for 2100, and nobody should even try this: leave the future for the unborn grandchildren. Hans Erren - why do you show insufficient accuracy, when you write "Post-Normal Science is by definition science that is lacking sufficient accuracy"? Sufficient for what? "Insufficient accuracy" is not the same as "significant uncertainty". The IPCC makes no forecasts; it reports about scenarios prepared by various research groups, published in the legitimate scientific literature. When all scenarios agree on something, then this essence may constitute a forecast - for instance: it will become warmer until 2031. I guess that is a falsifiable assertion. We should discuss the similarity of aggressive skeptics and of alarmists in near future. Warum so dünnhäutig, werter W.v.B. #10? Ich wollte Ihnen keinesfalls zu nahe treten! Ich konnte lediglich Ihren subtilen Ausführungen über (meinen?) Dekonstruktivismus in diesem Kontext nicht folgen, wo es sich meines Erachtens doch einfach darum handelt, dass hier durch bewusst falsches Darstellen von "postnormal science" versucht wird, diesen ganzen Ansatz zu diskreditieren. Es handelt sich also eher um die Darstellung eines ordinären Foulspiels der üblichen Verdächtigen des Heartland Institutes und keinesfalls um ein dekonstruktivistisches Kunststück meinerseits. Ich kann daher Ihre Aussagen üperhaupt nicht einordnen und verstehe nicht, was Sie mir damit sagen wollen. I don't think that nitpicking on semantics is relevant here. Postnormal science is dealing with uncertain forecasts. An example from another discipline: When does the world take action for an asteroid impact threat? We don't spent billions on mitigation in 2011 when the likihood of an impact in 2100 is only 5%. The IPCC forecasts are indeed not professional forecasts and that is the fundamental problem: they are just storylines. It is time for forecasts. Die Resonanz ist dennoch da, es gibt ja auch andere Blogs. Ich finde es allerdings schade, dass dieser Blog - imho - so langsam 'gen Süden, sprich nach links, abzutriften scheint. Einzig Herr Grundmann scheint noch ein wenig gegenzuhalten, ansonsten sehe ich von der einstmaligen Unvoreingenommenheit nicht mehr viel übrig. Dies ist natürlich nur mein Eindruck. Links? Sehr subtiles Argument! Ganz "imho"! Indeed, the problem is the word "science" in Post Normal Science. People who are against AGW (and policies based on it, like Singer et al) are also against public participation in decision making. For them, PNS is a theory that legitimizes both. But one can hardly prevent applause from the wrong window. Arguing that PNS is a "well-defined concept," as Hans and Werner have done, is futile. The meaning of a text is in the hands of its users. So instead of accusing someone of perverting the "real" meaning, you need to convince other uses of a specific interpretation and demonstrate it--not simply assert it. By the way, I am not so sure that it is a "well defined" concept. For me, it is a rather contested concept with several meanings. The workshop in Hamburg has shown this. 'the meaning of a text is in the hands of its users'- even when they haven't read the Text at all? Anyway, I like your new 'anything goes" attitude! "The fate of what we say and make is in later users' hands." "Don't look at the intrinsic qualities of a statement to evaluate it; instead, look at its later transformations by others." Reiner, sorry, but simply to assert it is not "anything goes" is futile! "So instead of accusing me of perverting the "real" meaning, you need to convince other uses of a specific interpretation and demonstrate it--not simply assert it." And, by the way, why not demonstrate that "real science" can solve the problems which PNS calls postnormal? 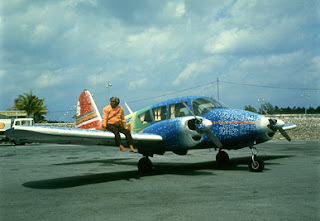 ...and thanks for the Latourbugblog - really interesting! Gut, von Ihnen habe ich auch nicht mehr erwartet - man weiß ja, an wem man ist, muss man sich doch nur Ihre wenigen! Veröffentlichungen durchlesen. Das war hier mein letztes Posting. Sorry, Namen vergessen, nicht, dass Herr Krauss wieder traurig wird.